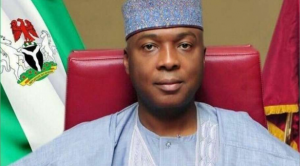 Home » Blog » Speech By The Senate President Dr. Abubakar Bukola Saraki, At The Senate Ad-HOC Committee On Constitution Review – 17th June, 2016. Distinguished colleagues, ladies and gentlemen, you would recall that in earlier this year upon the inauguration of this all important committee, I did make the point that the members of this committee had been arrived at in recognition of the enormity and solemnity attached to the exercise of constitutional review. This is why the essence of this retreat cannot be overemphasized. Since, independence, our nation has sought to develop for itself workable Constitution on which her unity can be perfected. Other nations have trodden a similar path. For instance, following the Declaration of Independence and the Revolutionary War in 1776, the original 13 States of the United States of America operated an Article of Confederacy, a necessary but unwieldy document that institutionalized a central government. The Article lasted for 8 years before it was jettisoned for the current Constitution of the United States. Constitution making has always been a challenging issue in any polity. Because it is expected to put together the aspiration, commitment, values and agreement of different communities, debates can be polarizing, contentious and in some cases conflictual. These defaults issues should be viewed as part of the process of building consensus and strengthening our democracy. As polarizing as these issues are, with robust engagement, inclusive participation and process-led initiatives we can resolve the contentions and agree on some of the issues. As I had noted in my inaugural address, this senate is seeking to further consolidate and entrench the essence of our constitution as the only basis for the exercise of all powers under a constitutional democracy forged under the rule of law. This review process must not in anyway dent the solemnity, integrity and infallibility that should be ascribed to the 1999 Constitution. Rather we are by this process celebrating and affirming the inviolability of our constitution and its integrity. It is in no way a ritual or a routine. It would be recalled that the 7th National Assembly had done a good job of obtaining national consensus on key challenges to the operation of the constitution and the utilisation of the constitution as the coherent framework for our development as a nation through its work on the 4th Alteration Bill. This is why I urge the committee to, in this first phase, to concentrate on the 4th Alteration Bill and conclusively address it before dealing with other proposals. Yes, the issues of constitutional amendment as they affect the 1999 Constitution are enormous especially those affecting the smooth running and development of our federation, cannot be fully captured within the framework of the 4th alteration bill. I will however, urge you to pay attention specifically on the 4th alteration due to the immense work and national consensus already garnered in determining it. This will help us concentrate effort on clearing these already agreed areas and a other few exceptional issues that are integral. This is the surest way of delivering to our people a more acceptable constitution before the commencement of the partisan political activities early next year. Upon the completion of this phase of the work, I believe we will then take on the next berg of issues that continue to agitate the minds of many Nigerians. I have purposefully avoided reflecting on these issues as I would have normally done, because upon the retreat for the next phase we will comprehensively enquire into these and proffer workable solutions upon the overarching principle of greater freedoms for our people, abhorrence of discrimination of any nature that inhibit the enjoyment of our people’s rights, the enthronement of the rule of law, accountability of all offices and authority derived from the constitution, the issue and concept of “continuity in governance” which assumes that a country needs continuity in its government to continue to meet the demands of modern day governance. Most of these issues you would find interlocked in the current 4th alteration. I am also convinced that some of the hard national questionswould remain contentious and unresolved beyond this exercise, but be sure of this, we have the necessary will, courage and wisdom to interrogate them all and find solutions to them. Meaning that we are ready to take another plunge at cementing the process and deepening our constitutional framework through a second phase of amendments. Distinguished colleagues’ ladies and gentlemen, by the caliber of the composition of this ad hoc committee, I am assured that your deliberation will be robust, courageous and vibrant and your recommendations to the senate will embody the greater aspirations of our proud heritage and people. There is no better time to exhibit and bring to bear your statesmanlike maturity, nationalistic considerations and vision to the mandate that our people have bestowed on us, to help bring their hope and dreams to reality. In concluding, as you deliberate, I urge you to bear carefully in your mind the challenges of our past and the vision of our future. I urge you to consider every opinion and allow as many ideas as possible into the discussions. Nigerians of all works of life will be looking up to you to provide a new direction towards to cementing of our union through the recommendation you will be offering from this process. I cannot finish this address without a resounding commendation to the Chairman, the DSP, Onwa Ndigbo, my charismatic and humble brother, Senator, Ike Ekweremadu, for his untiring devotion to this quest to bequeath to our people a near perfect constitution, may God continue to reward and strengthen you in all your endeavours. And to you my exceptional colleagues for making today a reality, God bless you all. I wish you all a most fruitful deliberation.